I went down to London today. We are staying in a posh hotel which Google Earth doesn't know the location of (or perhaps it is the posh people trying to throw me off the scent). Anyhoo, when I finally found the place I was told that I am being given a complementary room upgrade to "Club Class" or somesuch. I therefore inspected the room with particular care to find out what this means. In truth I didn't find much. The wardrobe has a light in it. 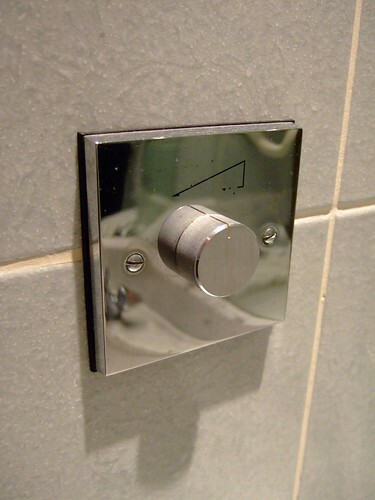 There was a knob in the bathroom (which doesn't seem to do anything). I turned it all the way both ways and nothing happened. There was also a wide selection of "adult" movies available..
Apart from that everything was pretty much as I would expect a room to be. And no, I didn't spend 9.99.